If you've listened to the first episode of Sleigh Bell Cinema, you know that the idea of doing a seasonal Christmas podcast was heavily influenced by my pal (and first SBC guest) Mike Westfall's Advent Calendar House. So it was a special treat when Mike invited me to join him and Michael DiGiovanni (The Atomic Geeks, Classic Film Jerks, Pop Culture Retrofit) in kicking off the new season of ACH. 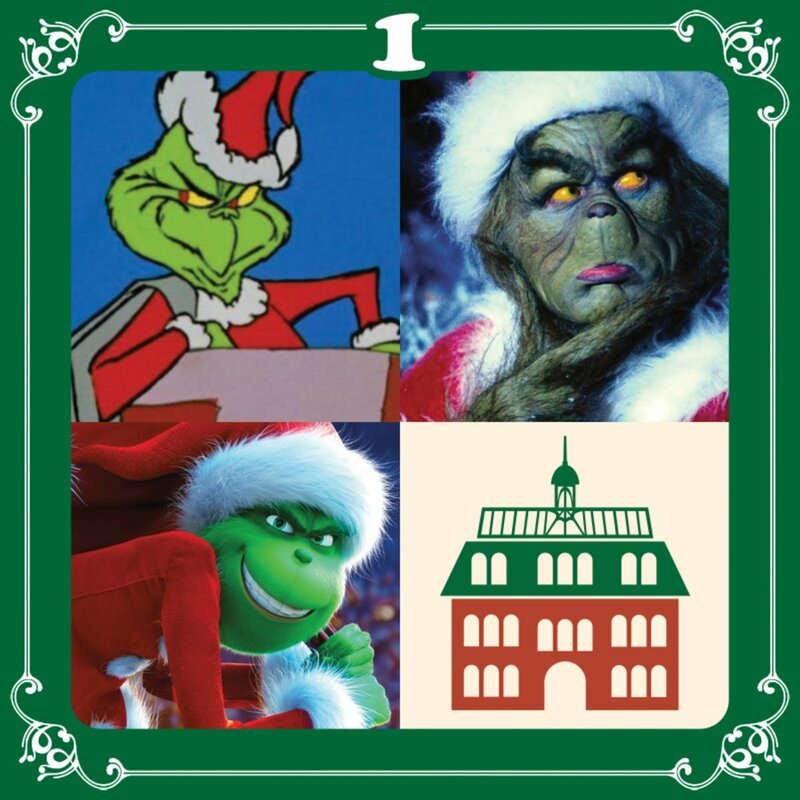 We talked in-depth about all three adaptations of How the Grinch Stole Christmas: the great one, the horrible one, and the... well, you'll have to listen to find out what we thought about the other one. Its like "I Hate/Love Remakes" minus Noel. Actually with a name like Noel, it feels like he should be on every episode of Advent Calendar House! The Jim Carrey Grinch may be the first time I went to a movie and walked out not liking it. Its also probably the first time I recognized how it was a film that was marketed on nostalgia and name brand recognition. I've got no strong will to see the new animated Grinch yet. The three Despicable Me movies made by Illumination have inoffensively occupied ninety minutes at best. When you have to make an uphill climb to get to "okay" its not on the top of the priority list. Especially not when Wreck It Ralph 2 and Into the Spider Verse can scratch my cartoon itch this season. Have seen all three, and the first is still the best. Gets it all said and done with heart in a half hour. Joe, totally agree. I do like the new one though. Erik, I've seen Ralph Wrecks the Internet and liked it a lot. But no more than The Grinch. It's worth seeing.